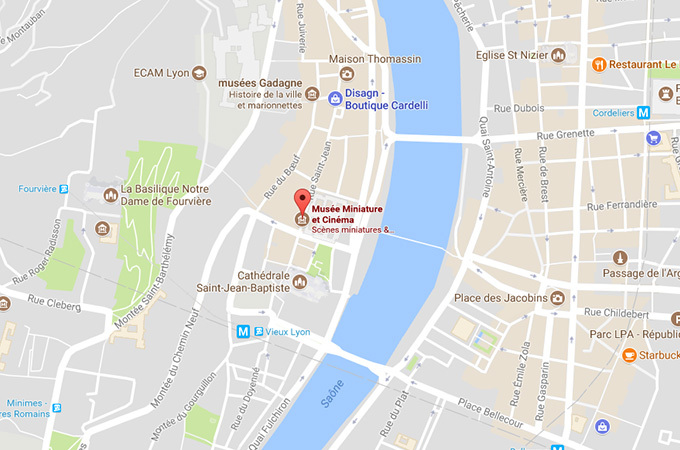 Lyon’s Musée Cinéma & Miniature is a treasure trove of information for cinema buffs! Georges Mélies was a pioneer and inventor of special effects way back in 1900. But this type of illusion has actually been around since time immemorial. In Greek temples thousands of years ago, certain unscrupulous priests were known to use various tricks to impress people and accentuate their fears — and subsequently their religious devotion. Plumes of smoke and eerie sounds seemed to rise up from the depths of hell thanks to a powerful air current secretly installed in ducts inside the temple walls. A bronze statue raised its arm in a hazy alcove, pointing its finger accusingly at a terrified disciple… with help from a carefully hidden internal mechanism. Many years have passed since then, but special effects are still here today, used by the hundred in today’s most popular films. Videos prepared by film studios are shown at the Musée Miniature et Cinéma, revealing how this ancient art has evolved into a cutting-edge science. Today’s modern techniques are used to create spectacular effects in films, including shipwrecks like the one in James Cameron’s ‘Titanic’, epic scenes of destruction such as those in ‘Independence Day’ by Roland Emmerich, and chase scenes with terrifying monsters in Jean-Pierre Jeunet’s ‘Alien: Resurrection’ — just a few examples of the amazing work done by the magicians of modern cinema. With the development of silicone, modern varieties of resin, and high-tech materials used in today’s most advanced industries, there are no longer any limits on studio artists’ creativity. Today’s films can take us to Mars, to the bottom of the ocean, deep inside a volcano or even on a trip through the human body. Nothing stops these 21st century Méliès!